COPPER VERDE™ – Verdigris Patina Junior Kit. Complete DIY Kit! 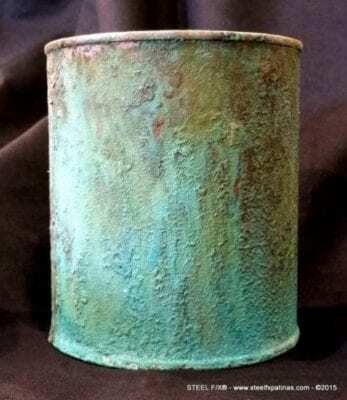 Contains: 1/2 Gallon of COPPER VERDE™ Patina, 1 Qt. Sprayer, 16 Oz. Copper-Infused, Water-Based Clear-Coat (Brushable), And 1/4# of Pure Copper Powder in Stainless Steel Shaker. COPPER VERDE™ is a Verdigris Patina for use ONLY on Pure Copper, Bronze, Brass OR Steel That Has Been Properly Prepared. See New Video #16. Coverage is Approximately 175-200 Sq. Ft. Per Gallon. Spray On – Wait Overnight – Rinse – Done! Clear-Coating is Optional.